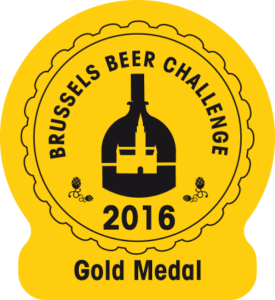 Hugues Dubuisson believes this further medal proves that the know-how and determination shown by the Brasserie Dubuisson in offering authentic, high-quality special beers has made them popular not just with consumers but also with international experts. It is also recognition for using hops grown and harvested at the Brasserie itself, as these are the main ingredient used in the production of Surfine. In case you need a reminder, SURFINE is a golden pale beer with 6.5% alcohol content and is re-fermented in bottles. Although it develops a very strong bitter taste, it is still well-balanced in the mouth and extremely refreshing to drink. The thing that makes it unusual is the ingredients – it is produced using three malts, three yeasts and three kinds of Belgian hop.